This Saturday, it’s time again to hit up Mash Clothing and do a spot of shopping whilst listening to some top level music. 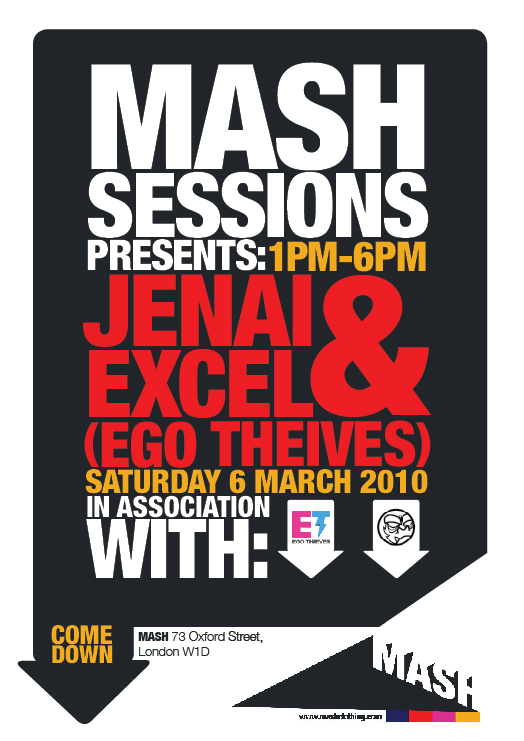 This particular Mash Session is in conjunction with Ego Thieves, one of the top UK underground music websites. If you haven’t discovered Ego Thieves yet, get over there and check out the mad selection of mixtapes on offer. Ego Thieves founders Jenai and Excel will be on the wheels of steel this Saturday between 1pm & 6pm playing all the best in Dubstep and House music. Get down, wile out, cop some garms. Simple.